1. 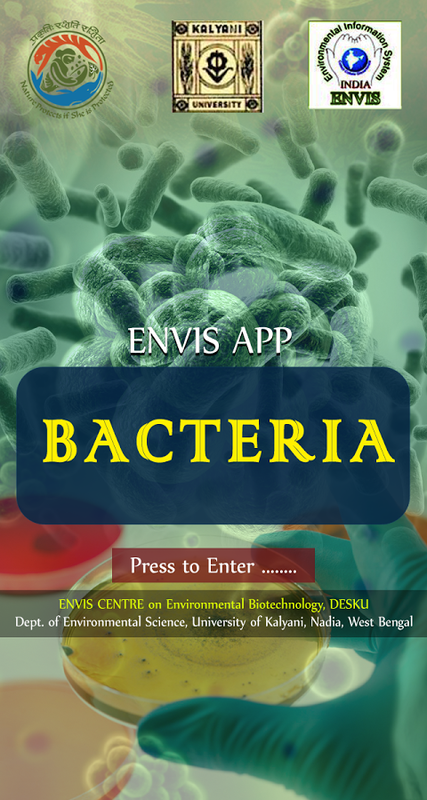 Welcome to Important Bacteria and their Applications App –Version 1.0. 2. 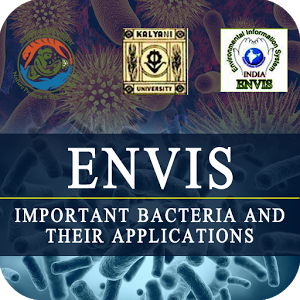 This is specially designed for students, researchers, scientist, and the general who are interested to know about the economic importance of Algae by ENVIS Centre on Environmental Biotechnology. 5. 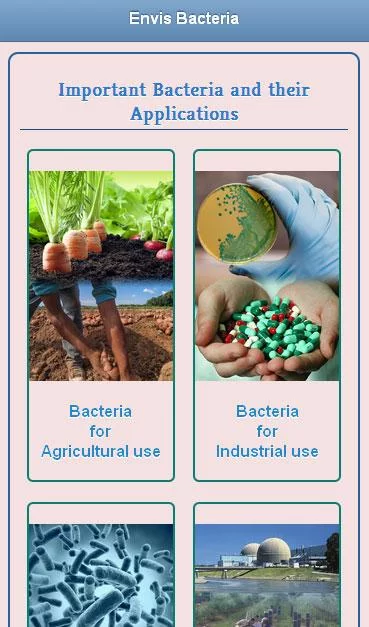 Click on any one of category to see the species name and further click on the species find the details of description, classification, images and applications. Note: Internet connection in your mobile phone/tablet is mandatory to run this app. 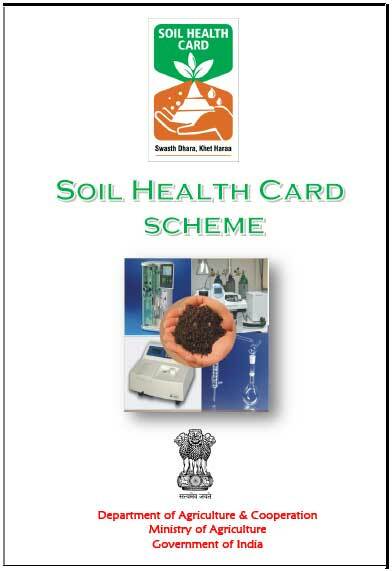 Supported by Ministry of Environment, Forest and Climate Change, Government of India.